Using Superb quality, 98% Dust Free Sanding Technology by Frank, Bona and Laglar, Our highly skilled and highly experienced teams are capable of bringing even the poorest floors up to an excellent standard with minimal disruption to your home. 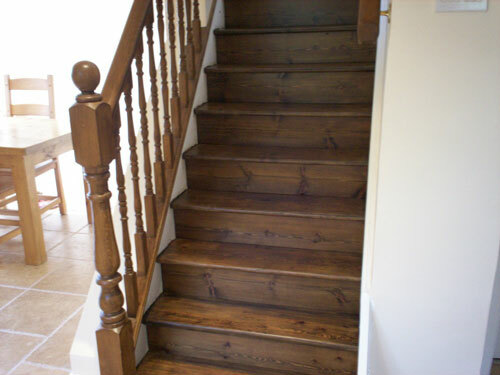 Horses for courses is a phrase we use quite often, As the type of Seal / Varnish / Laquer we use, largely depends on the type of wood your floor is made of and the type of look you are trying to achieve. Oil modified Varnish is lovely on Oak, but not so nice on new Pine. 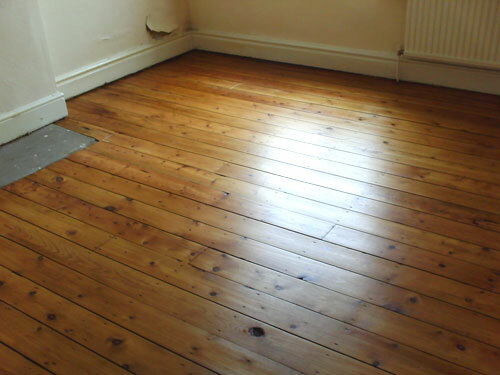 Hard wax oil Is always a pleasure to use and complements hardwood to the max, but beware it does need regular maintenance. Polyurethane Waterbourne Varnish is the most versatile of all the Varnishes we use its great on any type of flooring, Finishes available in Matt, Matt Silk and Gloss. Whatever colour your thinking we are sure to be able to achieve your every wish, The dyes we use leave the timber looking natural as all grain and variation is shown through our Light Fast stain. You can have an off the shelf colour or let us create almost any colour or shade using our own mixing methods. Using the Latest methods we can create diferent levels of colour, warmth and opacity, from a simple white or Cream wash to a complete colour change using universal tints. 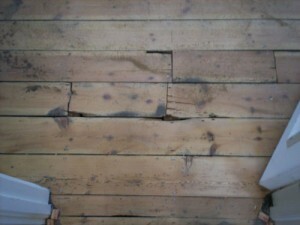 Gap filling between Floorboards is something thats quite new to the trade, Since rennovation of Pine floors has became so popular in recent years the demand to fill gaps has became greater and greater, But beware poor ventillation, Seasonal climate changes, Eratic heating methods or boards working loose over time can all make it drop out, Pine is renowned for moving and floor brads can work loose over time, Gap filling can never be guaranteed but every effort is made to keep it in. 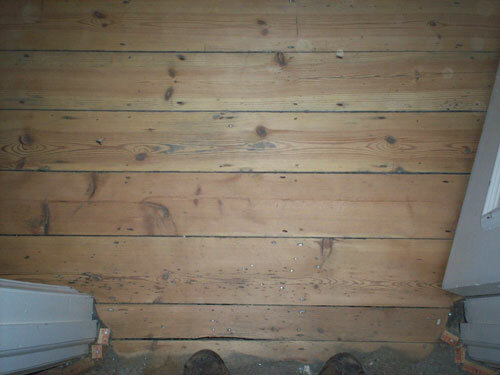 Using Bona gap fill, Blanchon floor fudge or Unika coloured mastic, we can fill gaps between floorboards which is flexible and so will not fall out or crack, Available in a variety of colours to match or contrast with your exsisting floor colour. 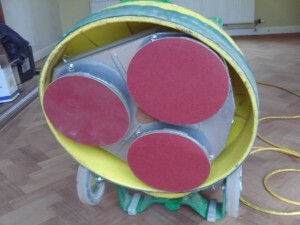 Mastic fillers are also re-sandable. 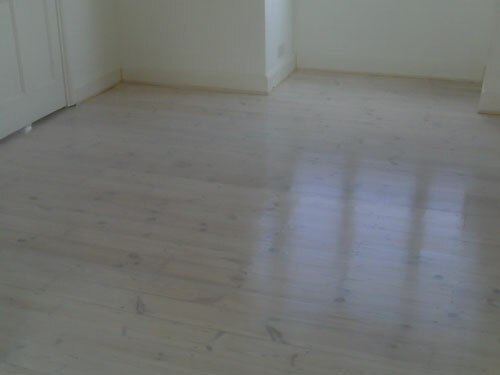 If you would like to save money, then why not use our sanding only service, we will give plenty of advice on how to varnish the floor yourselves and even supply you with varnish or wax for your desired finish. 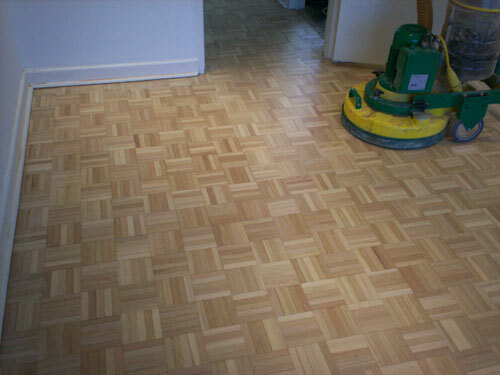 For a fraction of the cost of a re-sand, why not get your already finished floors revitalised and add another 5 – 7 years to the life of your floor varnish. This entry was posted in Floor Sander info by theparks. Bookmark the permalink.